With an increase in frequency drive applications that demand more power whilst operating in reduced space envelopes and the need for systems to work in high ambient conditions beyond the bounds of forced air-cooled designs, REO is now offering drive system components suitable for water cooled installations. 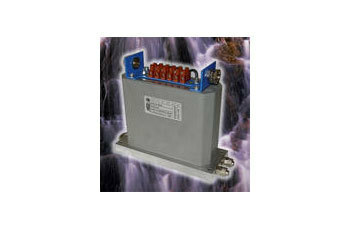 REO products with this new flexibility include the company’s braking resistors, mains filters and motor chokes. By using water-cooling it is possible to increase to power ratings of braking resistors by 4 – 5 times and inductive components by 2 times. The water-cooled option is available in two forms across the range of components; one version with optimized base plates suitable for mounting on common cooling manifolds and used for multiple component assemblies and the other with integral water-cooling circuits and pipe connections. Operating coolant system pressure for component-integral cooling systems is 4Bar (tested to 10Bar) and ingress protection is IP64.